ShadowBet No Deposit Bonus – Collect up to 20 Free Spins! With the current ShadowBet No Deposit Bonus you can claim up to 20 Free Spins on sign up. 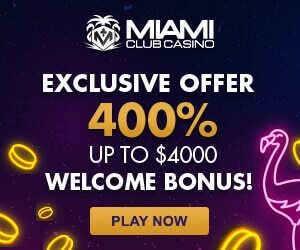 A generous offer for all new players of this casino. There is no deposit needed to collect this offer. You only need to sign up your free account in a few minutes. Try your luck now and win your free spins on the new slot Ouroboros. And that’s not all! At ShadowBet Casino you can also take advantage of a generous welcome package. With this package you can claim a 100% deposit bonus on your first two deposits. Besides that the casino will spoil you with 200 extra Free Spins (in 10 days). Ready to register your free account? Then click this link to visit the ShadowBet website! Before you sign up your free account at ShadowBet Casino you can play to win your no deposit free spins. In this way you can easily extend your welcome package. Simply click this link to visit the ShadowBet website. After that, click the ‘’Try your luck’’ button. Once you clicked this button the game will load and launch. Pull the handle to activate the slot. After that, click the golden button to continue. Once you clicked the button the slot will launch and the three reels will spin. Depending on the outcome you will win nothing or you will win 10 Free Spins. If you won you can decide to collect or to double. We recommend people to double since we think in most scenario’s it pays out. When you choose to go for the double you will need to choose between the sun and moon symbol. Depending on where the snake stops you will win or lose. We choose the sun and the snake stopped at that point. Because of this we won a total of 20 Free Spins. Depending on the outcome of your game you can choose to collect your ShadowBet No Deposit Bonus for free. When you like the prize you can click ‘’Join for Free’’ to register your personal account. When you played the slot you can claim up to 20 Free Spins just by signing up your free account at ShadowBet Casino. Start this process by filling in your email, password and by confirming your password again. Click ‘’Next’’ to continue. You will need to sign up fast enough otherwise your bonus spins will expire. So hurry up! In the next screen you will need to fill in some more personal details to register your account. Make sure you will in everything correctly. Once you did this you can continue by clicking the ‘’Next’’ button. One the last screen you will need to verify your mobile number by filling in the code ShadowBet Casino has send you. Once you filled in the code your account will be ready. Log in to your account to start playing your 20 Free Spins. All winnings you enjoy during your ShadowBet No Deposit Bonus will need to be wagered 35 times. After that, the money will be converted into real money. Once this happened you will be able to cash out your real money balance. In this way you can even make money out of your No Deposit Bonus at ShadowBet Casino. Good luck and have fun with your maximum of 20 Free Spins! Once you entered the casino and played with your no deposit bonus you can make a first deposit to claim your first welcome bonus. Simply make a first deposits and ShadowBet will double it with a maximum of €100,-. For example; When you make a €50,- deposit. You will receive €50,- bonus money. In this scenario you can hit the casino with a total of €100,-. Besides this bonus you will receive 200 Free Spins. Directly after your deposit the first 20 spins will be available. And for the next 9 consecutive days you will receive 20 more Free Spins daily. This ShadowBet Welcome Package is only available for new players. Deposit at least €10,- to collect this bonus offer. You will need to wager all deposit bonus money and winnings during your free spins a total of 35 times. For example; When you deposit €100,-. And collect €100,- bonus money. You will at least need to wager 35 x €100,- = €3500,-. Depending on your winnings during the free spins this can be higher. After collecting your ShadowBet No Deposit Bonus and First deposit bonus you can claim even more bonuses. When you make a second deposit the casino will add 50% bonus money to your account up to €400,-. For example; When you make a €100,- deposit. ShadowBet Casino will add €50,- bonus money. After this offer you can also collect a 25% money bonus on you third deposit. For example; When you deposit €100,-. You will receive €25,- extra bonus money. This bonus has a maximum of €500,-. Because of this you can collect up to €1000,- bonus money during your first three deposits. Ready to collect your bonus offers? Then sign up your free account today! Before joining you might be curious which games you can play with your Shadowbet No Deposit Bonus and welcome bonus. Well, I must say Shadowbet has a pretty impressive game collection. In the lobby you will find hundreds of different slot games by top quality providers including Betsoft, NetEnt, Microgaming, Play’n Go, NYX, Yggdrasil, Big Time Gaming and Push Gaming. Because of this I think you will never get bored at Shadowbet Casino. There are simply so many games, and new ones are released every week, that there is always something exciting to play. On top of the range of regular slot games Shadowbet also offers a wide range of Jackpot slots. A few of the most popular games are slots with progressive jackpots that can exceed millions. Some of the most popular games are Mega Moolah, Major Millions, Cash Splash, Super Lucky Frog and Arabian Nights. Try your luck today and you might become the next millionaire! Other popular games in the casino are table games. At Shadowbet you will find a wide selection of table games including Blackjack, Roulette and Baccarat. All these game types are also available in the live casino where you can play while a real life dealer draws the cards. You can follow the entire game through a HD-quality live stream. On top of this Shadowbet is home to some Video Poker games including Joker Poker and Tens or Better. Open the lobby right now to have a look at the complete portfolio of games. Active players will be able to claim 10 Shadow Spins every Wednesday. To qualify for this promotion you must have made at least one deposits during that week. Once done, your account will be credited with 10 Shadow Spins on Wednesday. Your spins will be available on a different slot every week, so this is a perfect way to learn new games. Please note your extra spins are only available between 12:00 and 23:59 GMT. All winnings you enjoy during your spins will be added to your bonus balance. You can use this balance on other games in the casino. After wagering your bonus a total of 35 times you will be able to cash out your remaining balance. While playing with your bonus the maximum bet is €2,- per spin. Check out the promotion rules for more information about the terms and conditions. When you enjoy to play online casino games on your smartphone or tablet then Shadowbet is a great casino to join. During the development of the website Shadowbet has taken special care for its mobile casino. And because of this the casino is now one of the most popular mobile casinos around. As a mobile player you can easily log in to your account, make a deposit and start spinning. In the current gaming lobby you will find hundreds of slot games which you can also play on your mobile device. On top of this Shadowbet also offers a wide range of (live) dealer games which you can play in the mobile casino. Because of this you will never be bored while waiting or traveling again. Simply log into your account, and get straight access to the best online casino games! ShadowBet is a popular online casino that was founded in 2016. ShadowBet Casino is owned by MT SecureTrade Limited Casinos and holds and license by the Curacao eGaming and Malta Gaming Authority. In the gaming lobby of this casino you will find many games by providers including NetEnt, Microgaming, Evolution, Betsoft, WMS and Yggdrasil Gaming. Because of this you can play various games including Slots, Table Games, Live Casino Games and Jackpot Slots. Besides these benefits there are more reasons to play at this online casinos. Below we will highlight some of the most important benefits of this online casino. Optimized for mobile use. Play wherever you are! Great support and live chat available. Safe and secure because of state of the art SSL encryption. Many payment and withdrawal options. Multiple Weekly bonuses and promotions. Well licensed and RNG Certified. Is ShadowBet a reliable online casino? Yes, ShadowBet is a reliable online casino. The casino has 2 valid licenses. A UKGC and a MGA license. We have been playing at the casino for a while and we tested their payment options, games and we made some withdrawals. Everything is 100% reliable and safe. That is why we recommend you to try ShadowBet. Are all games at ShadowBet fair and reliable? Yes, all games at ShadowBet are developed and operated by external game providers. The casino does not develop their own games. They only use games from external game providers. All those games are tested and approved by international gaming authorities. that means they all have a fair payout percentage and online casinos like ShadowBet can’t manipulate them or their pay out percentages. Can I win real money with the ShadowBet no deposit bonus? With the 20 free spins no deposit bonus you can win real money. You can win an unlimited amount of money when you use the free spins at ShadowBet. How many times do I have to wager my registration free spins? You don’t have to wager the free spins or the free spins winnings. What you see is what you get at ShadowBet Casino. With the 20 free spins on registration you can win real money and you can request a withdrawal when you want to. It is your money and you have all the control over this money. Which games can I play with my 20 free spins at ShadowBet? When you are living in a country where you can play NetEnt games you can choose one of the following games: Wild Wild West, Aloha! Cluster Pays, Pyramid: The Quest for Immortality or Starburst. And when NetEnt games are not allowed in your country you can choose one of the following Play ‘n Go games: Cloud Quest, Enchanted Crystals or Gemix. Keep notice that you use all 20 spins on one single game. You can’t spread them over multiple games. Are there more no deposit bonuses available at ShadowBet? There is one no deposit bonus available when you register at the casino. After playing a while at the casino you will receive more no deposit bonuses. ShadowBet frequently offers no deposit free spins on new games or on promotional games. And sometimes you receive free play money in your account. Keep an eye on your email because ShawdowBet always sends you notifications when they give you a new no deposit bonus. On our website you will find many casino that offer a no deposit bonus. In the table below we have bundled all active bonuses that you can take. Sign up now and collect up to 50 Free Spins or €10,- Free Bonus Money. Collecting bonuses at multiple casinos is no problem. So take a few offers and find your new favourite online casino. After that, you can always decide to make a first deposit somewhere.